The Blue timetable is in operation on all 4 days of the Easter weekend so it will be steam locomotives on all trains over the weekend. The first train departs Oxenhope each day at 10.15 and the last departure of the day is 17.15 from Keighley. 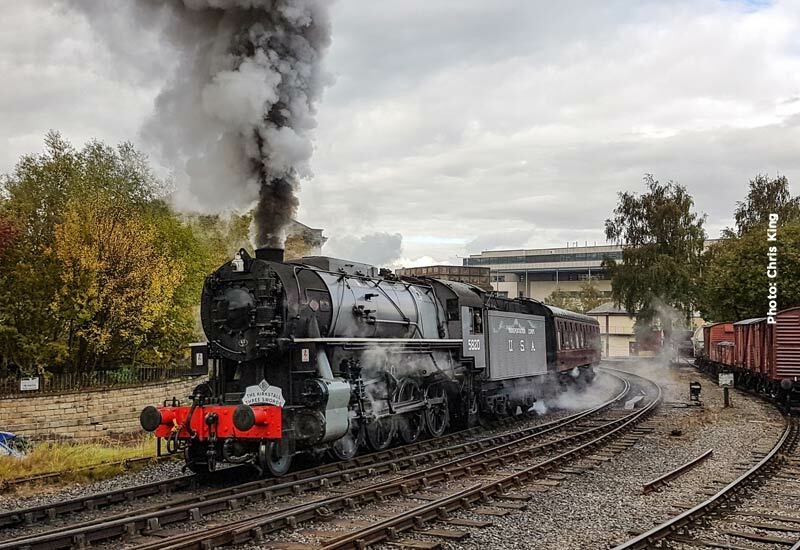 BR Standard 4MT 4-6-0 75078 is back this weekend after hauling the steam services last weekend but will be joined by USATC S160 2-8-0 5820 at the head of the second service Friday to Monday. On Tuesday 75078 continues and, with only one steam service operating all day Tuesday – Friday, 5820 rests from duty. The first train departs Oxenhope at 10.00. There are no diesel services this weekend but return on Saturday 6th April.